The origin of the Mothers’ Union dates from 1876 when Mary Sumner, a vicar’s wife, recognised that many women in her community lacked support whilst raising their families. From a small initial gathering, Mothers’ Union has become an international Christian charity that seeks to support families worldwide. Its members are not all mothers or even all women, as there are many parents, men and women, singles and grandparents involved in this work. There are now more than four million members in 83 countries. The Mothers’ Union continues to provide Christian care for families and those in need in this country and around the globe. 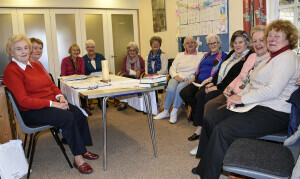 Wychwood Benefice Mothers’ Union supports projects initiated from Mary Sumner House our central office. This includes literacy, numeracy, child care, support for medical staff and self sufficiency. Closer to home we are involved with holidays for families who need respite. This provides holidays or short breaks for families needing time together in a stress free environment. We present a New Testament to all Year 6 children leaving our Primary School and have taken assemblies whilst waiting for our new vicar. We support those in need of help with food by collecting for the food bank. We administer communion at Tall Trees and The Paddocks, where we have our monthly Communion, joined by residents. We also help the Milton village fete by organising the children’s play activities. Milton Mothering Sunday Service is an important occasion for our branch where some of our members provide ideas for the service and others arrange the posies.